Every founder has a story. Mine is unique: one young entrepreneur looking to make a huge impact within the small and mid-sized business community. With drive and ambition to succeed, I knew one thing is for sure, I wanted to help provide a voice to small and mid-sized business owners. Educating people about the nature of success, and the tools needed to survive as a small business owner in America. We are positive about the growth of the economy. According to key economic indicators, the economy is healthy and is on an upswing despite political and economic challenges. Small to mid-sized businesses are methodically hiring new workers and growing at a steady rate. 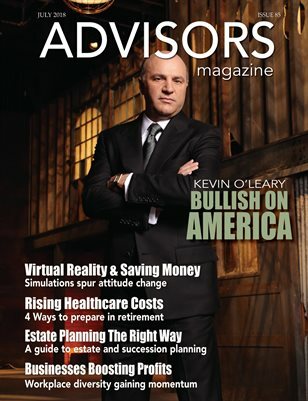 Our cover story features Kevin O’Leary, venture capitalist and popular Shark on ABC’s “Shark Tank,” who says he's “never seen the economy so good.” On page 12, “Mr. Wonderful” tells us why he’s bullish on the current state of the economy, tax reform, and investing today in America.